TRILOK STEEL INDUSTRIES is well known supplier, stockist, manufacturer & exporter of Stainless Steel Oval Tube. We ensure the highest surface quality in all of our Stainless Steel Seamless Elliptical Oval Tubes.The Production of Stainless Steel Welded Oval Tubesare hot finished, cold finished and annealed.All of Our SS Oval Tubing meets and exceeds the industry's strict specifications, so you know you are receiving the highest-quality Oval Tube available today. We supply Stainless Steel Flat Oval Tubefor semiconductor, pharmaceutical,the nuclear power, oil and gas, military and commercial aircraft programmes and sports firms.Trilok Steel Industries is PED approved manufacturer & Govt. of India recognized Export House and an ISO 9001 : 2008 accredited company.We are also well known as Stainless Steel Oval Tube manufacturer in India. 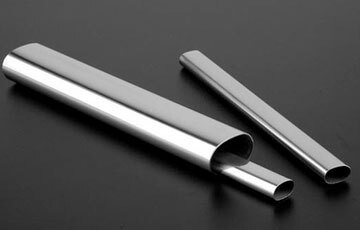 Buy stainless steel Oval tubing at best price in India from us as compare to market price. TRILOK STEEL INDUSTRIES offering Stainless Steel Oval Tubesformed by using the excellent quality of raw material and most cutting-edge machines by means of the engineering quality norms. .316 Stainless Steel Oval Tube for Industrial applications, these can be cut to length if required on very short production times. Oval Steel Tubingis used for most prestigious Architectural, marine, and construction projects. Stainless Steel Seamless Elliptical Oval Tubesare in the annealed form are willingly machinable by all predictable approaches.Trilok Steel Industries is specialized as providing Stainless steel Oval Tube in Polished Grit 120 - 600 finish. As a largest stockholder of stainless steel Oval Tube includes grades Stainless Steel 304L Oval Tube,Stainless Steel 316 Oval Tube,Stainless steel 316L Oval Tube and Stainless Steel 201 Oval Tubethose are used in various indutsrial applications. 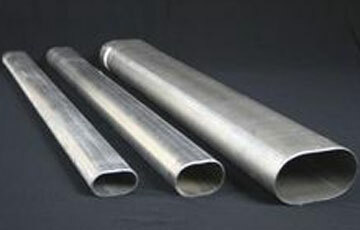 check latest updated price of stainless steel Oval Tube. Stainless Steel Oval Tube Manufacturer in India, SS Oval Tubes, SS Oval Tube Dealer in India, High Quality Stainless Steel Oval Tube, Stainless Steel Oval Tubes Exporter in India, Stainless Steel Oval Tubes for Food Applications, Oval Type 304 Stainless Steel Tube, High Polish Stainless Steel Oval Tube, Seamless Stainless Steel Oval Tubes. Suppliers of Stainless Steel Oval Tubes, 304 Oval Steel Tubes, Stainless Steel Oval Tube Exporter, SS 304 Oval Tube Importer, SS 316 Oval Tube Supplier in Mumbai, India. Stainless steel Oval Tubes are finished in accordance with customer needs regarding dimensional and wall thickness specifications as well as heat treatment for more demanding applications. 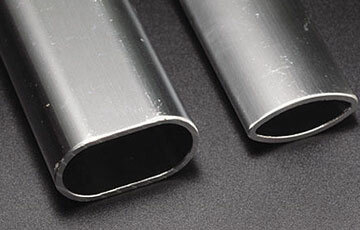 In general a stainless steel Oval Tube is manufactured according to current standards API, ASTM, and ASME. If required for special projects we can also supply large diameter Oval Tubes.